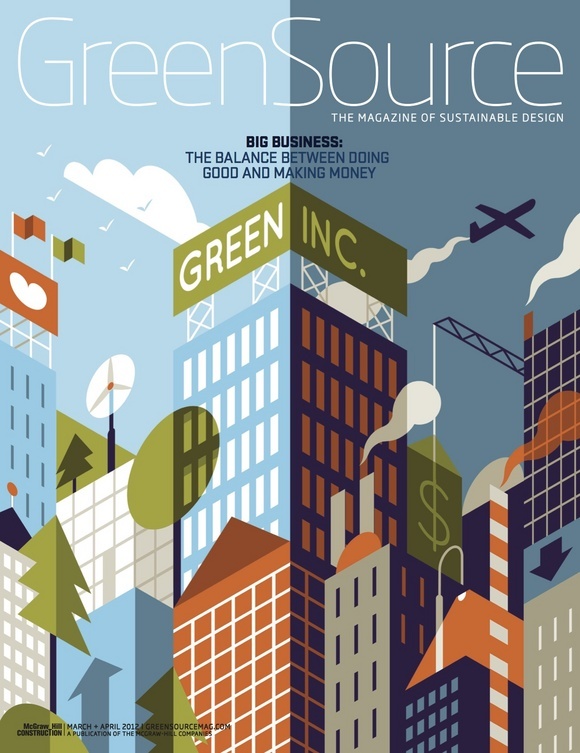 “GreenSource” is an award-wining sustainable design magazine which is published by McGraw-Hill Construction in New York City every two months. It was established in 2006 as a collaborative work of the “Architectural Record” and the “United States Green Building Council”. Recycled and environmentally friendly materials such as 100% post-consumer recycled stock and soy ink are used for the hardcopy. They publish articles about technology, projects, design processes, products and environmental issues in sustainable building industry. “Best Green Houses”, “LEED-Platinum Portfolio” and “Solution of the Month” additions are included in their monthly features. 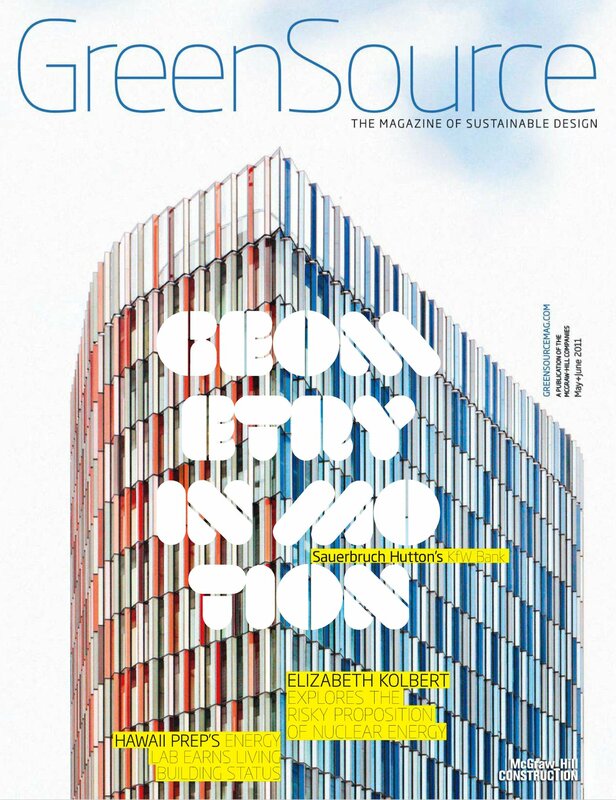 The printed publication of “GreenSource” is supported by social media and communication tools with daily news, blogs, forums, video libraries and photo galleries.